Born in Troy, NY "The Benicia Boy" boxed from 1858 until 1863 and claimed the American heavyweight title following the retirement of John Morrissey. He engaged in classic bouts with John Morrissey and Tom King. 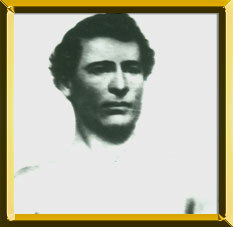 In 1860, he fought Tom Sayers of England to a 42-round draw in what is considered the first significant international heavyweight championship contest. Heenan died at Green River Station, Wyoming on October 28, 1873 at the age of 38. Courtesy of The Ring text.